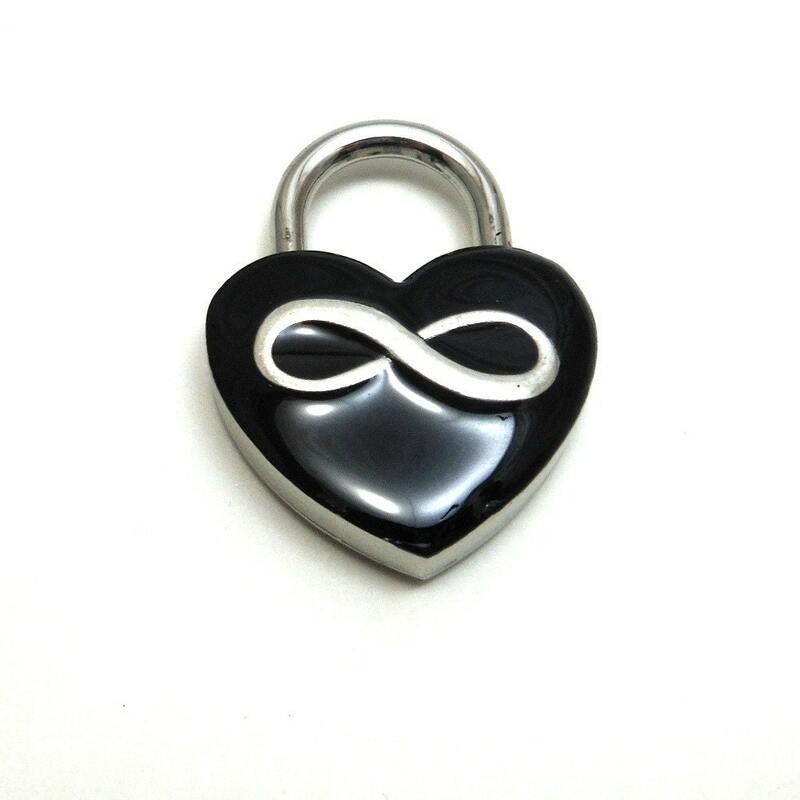 This unique padlock is a beautiful and meaningful symbol of your commitment. 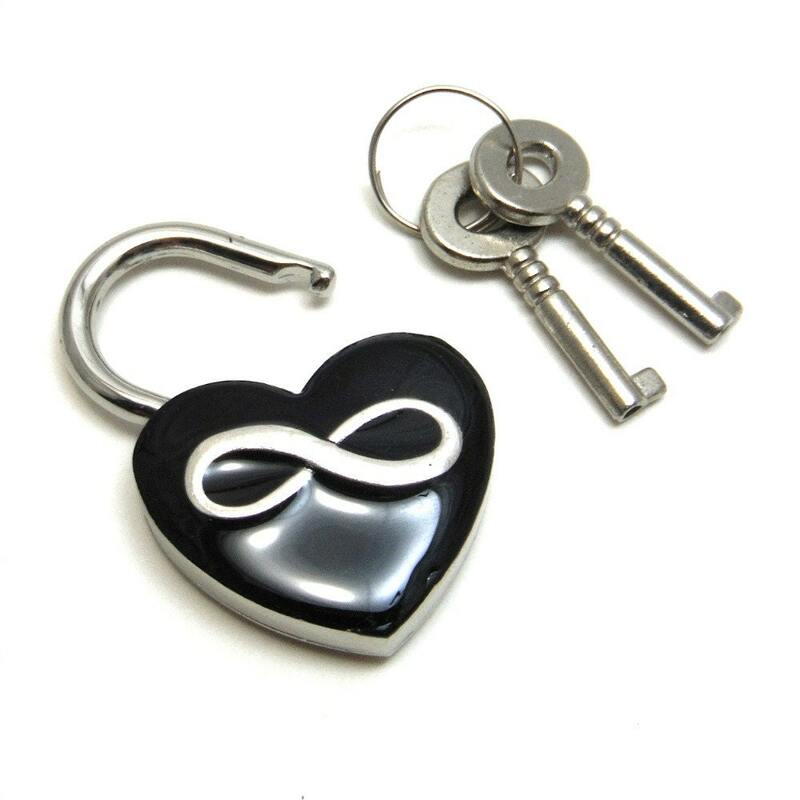 The heart shaped nickel silver lock has been polished to a mirror like finish on the key hole side, with the opposite side in a rich, jet black, adorned with a silver infinity symbol. The unending curves of the infinity loop, also known as the Lemniscate, resemble a figure 8 turned sideways. It represents that which is unending, or eternity, and a relationship that is unbound by space and time. The lock measures 1 1/4 inches, or 30 millimeters across, and about 1 1/2 inches (36 mm) high including the shank, and comes with two keys. Solid. Beautiful. Arrived promptly. Good quality. I bookmarked this seller!!! This is a beautiful piece. Master and I are very happy. Jen was very helpful in answering all of our questions. It shipped on time. 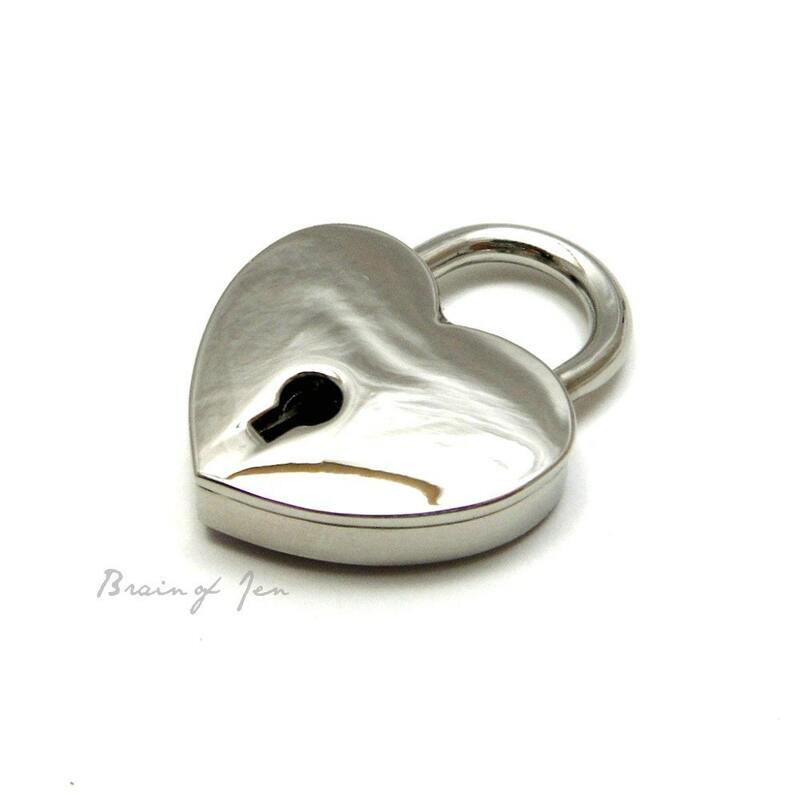 I am so very pleased with my item and with the quality of service I received.